Price Reduction - Owner very motivated - Make Offers! Cabo Yachts have always had a great reputation for high quality, sound engineering, sporty designs, and an innate ability to raise fish. This 2005, 45ft Cabo is one of their most popular models and one of the largest express fisherman available! 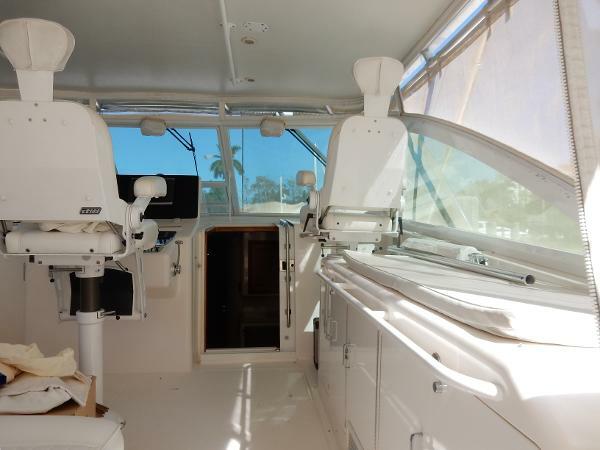 It comes equipped with an electrical folding fishing tower, 2 generators (1 x night generator), dishwasher, and Eskimo ice machine, and much more. This must see iconic fishing machine will get you to the fishing grounds, and back, in style, comfort, and with an ice chest full of fish.